I remember melody “Padam, padam” from childhood. 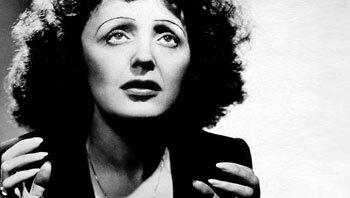 It was sang by Mireille Mathieu, but it has always reported that it is a song of Edith Piaf (Édith Piaf), 1915-1963. The motive went to memory once and for all. What is this song about not interested as music was enough. Found on the Internet a good arrangement for guitar. Good arrangement, this means that you can get closer to the expression of original voice perfomance. Recorded a long time, two months. Do not like variants, it do not passed through the “inner censor.” In the end, I decided to stop and choose from recorded. In the analysis of the material turned out that a cleaner, more technical perfomance “Padam, padam” on guitar sounds worse, it lost expression, which is the essence of the composition. I chose a successful record of the first month, just cleaned up by Melodyne. I tried Melodyne the first time and generally like it. Now about composition. It turned out that a song appeared because of the melody, which so easily went to my memory. 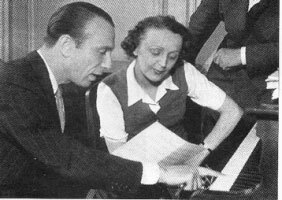 Composer – Norbert Glanzberg, 1910 – 2001. The first half of the 20th century, plowed all over the world. Just not sure, but according to some sources, in 1942 Glanzberg played this melody to Edith Piaf. By this time they had total artistic history, joint tours. But this is not the main thing for 1942. 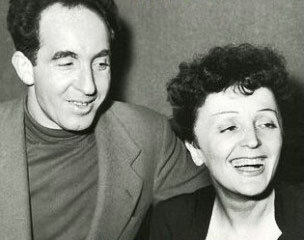 Glanzberg hiding from the Nazis in occupied France, Edith Piaf helped him. Several years have passed. 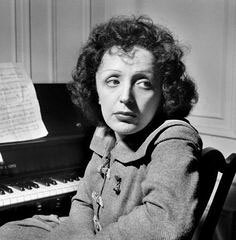 In 1948, Edith Piaf called to her friend (poet, actor, composer) Henri Contet (may be more correct for prononsation is Anri Conte), 1904-1998, she said that melody keep hold of her and sang melody directly on the phone and asked him to write words. Kontet wrote exactly such words. Here they are in a literal translation. Year of creation of the composition is considered 1951 when vinyl record came out. Remember, since it is your turn. The tune that recognizes me. It’s as if my entire past had marched by! that beats like a heart of wood! Images from the video sequence made in Paris a few years ago. The composition is written in the home, the configuration described here: “Recording Classical Guitar“. Mediators on the fingers – Alaska Peak, more here: “Alaska Pik fingers picks, 2 years experience“.